NSMA is a modern 5,000 square foot, fully equipped training facility ( Dojang* ). Our training areas have fully matted floors ( for safety )and we have all the equipment needed to train to all levels from white to 8th Dan Black Belt. 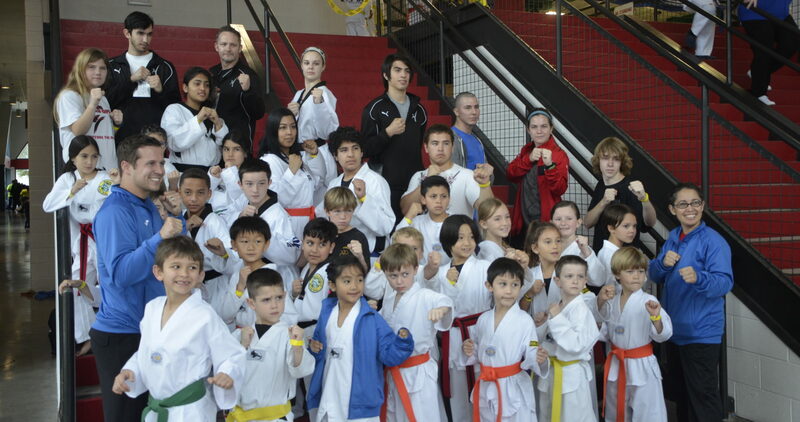 This facility is owned by NSMA and is designed to facilitate the training of Martial Artists. Our two separate training areas, breakroom, and pro shop are essentials of our facility. Throughout the week you might find an intense Mixed Martial Arts class taking place in one training area, while our other space is full of Taekwondo students sharpening their skills. Our school is filled with the sound of pads getting hit, swords clashing and loud Kihaps! Every moment our students are being challenged, encouraged and taught to excel in their art.